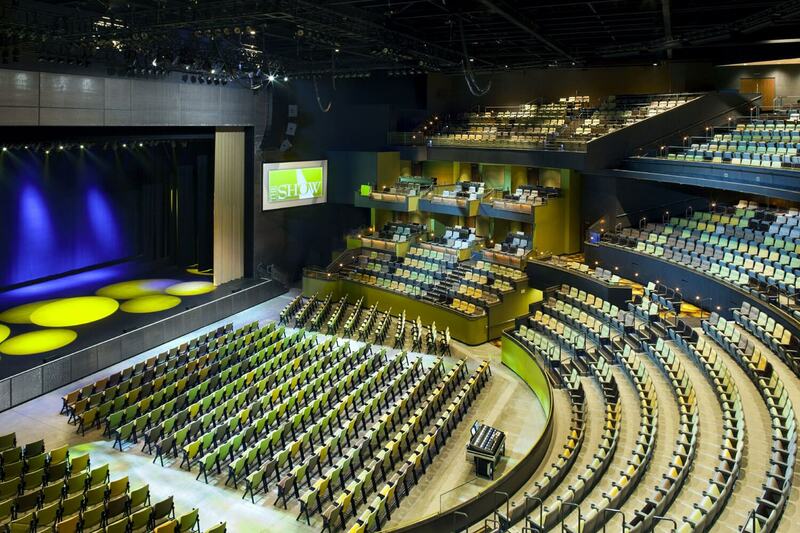 This 2000-seat performance venue was planned and designed with an emphasis on physical infrastructure, event flexibility, and a unique guest experience. 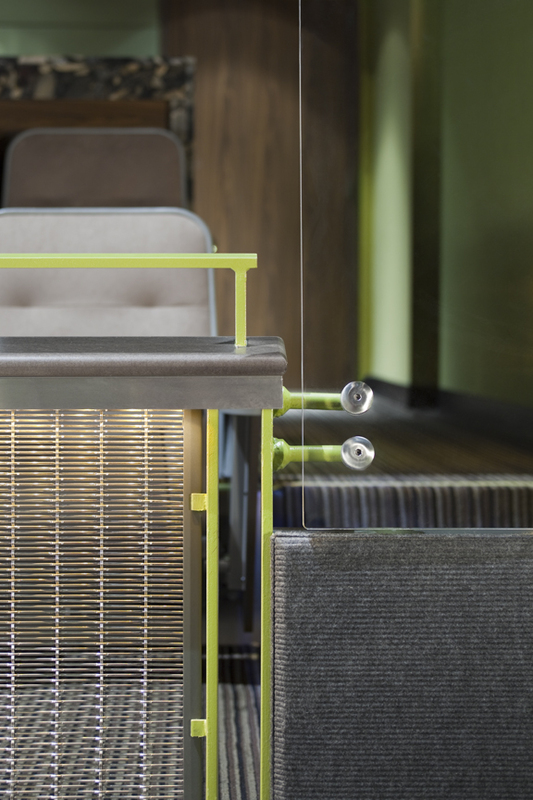 In a multitude of ways, visitors experience a modern interpretation of the surrounding desert canyon landscape. 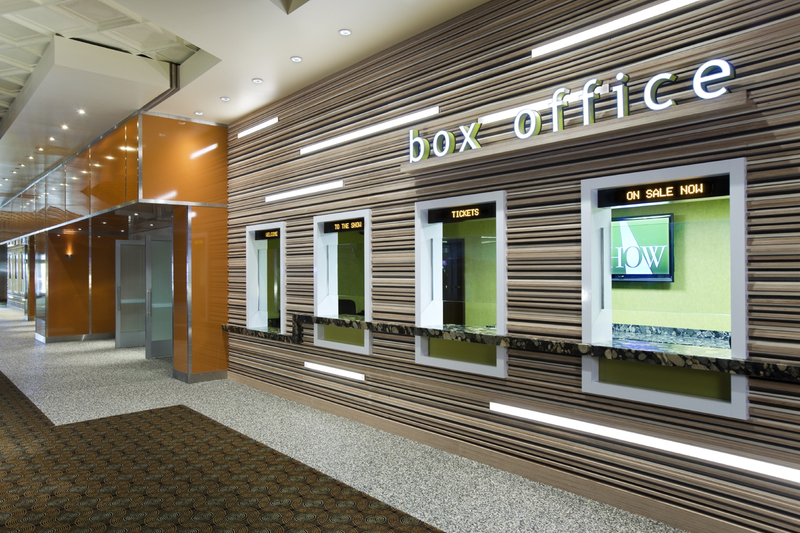 A bright orange entrance portal surrounded by varied slats of stacked plywood and felt mimic the striated and shifting layers of the canyon geology as well as providing acoustic value. 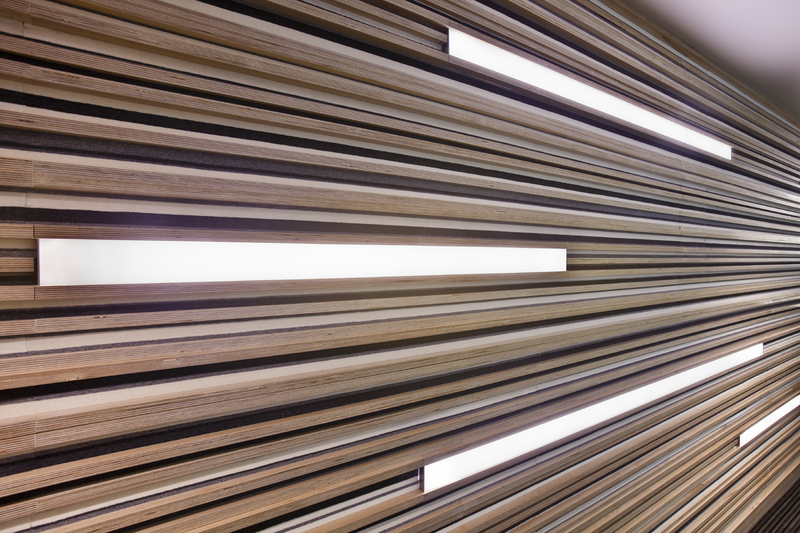 Inside, patrons experience the drama of the lobby’s two-story volume with sculpted wood ceiling planes, skewed punched openings, and pebble rock flooring alluding to the abstract canyonscape. 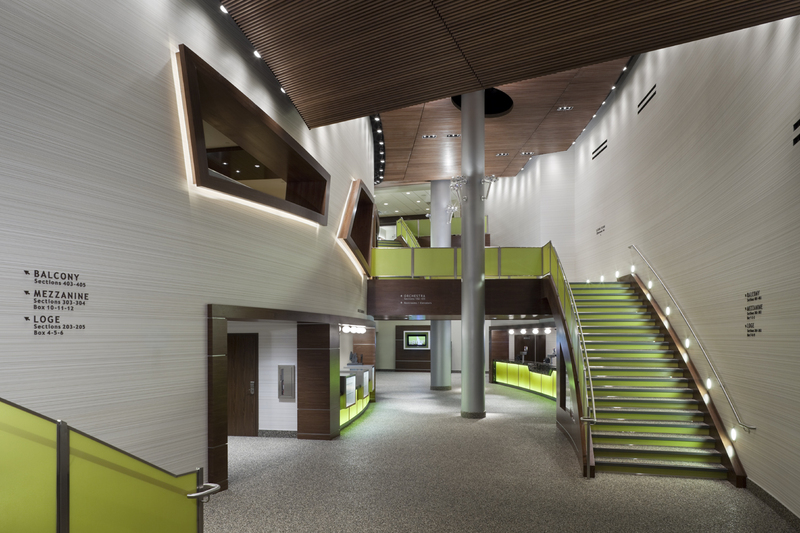 Green eco-resin back-lit panels draw attention to grand staircases and distinguish the bar areas below. 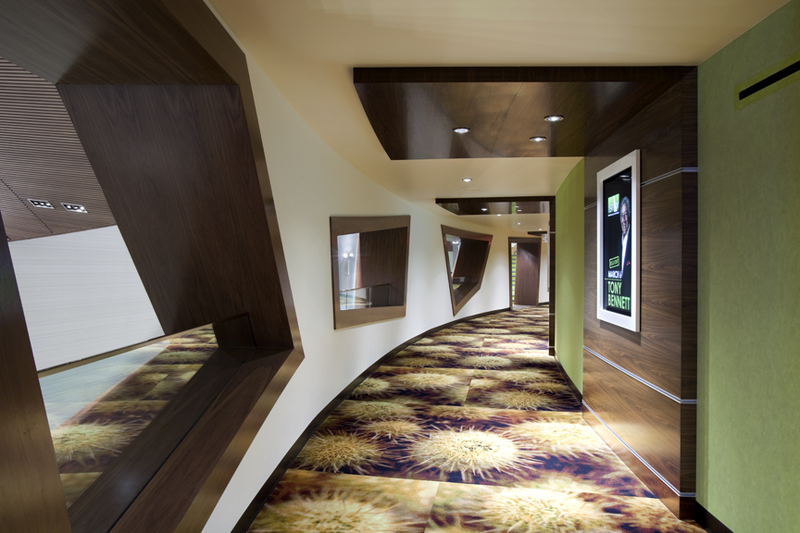 The desert landscape theme continues with super graphics of cactus images in the carpet and wall covering surfaces. 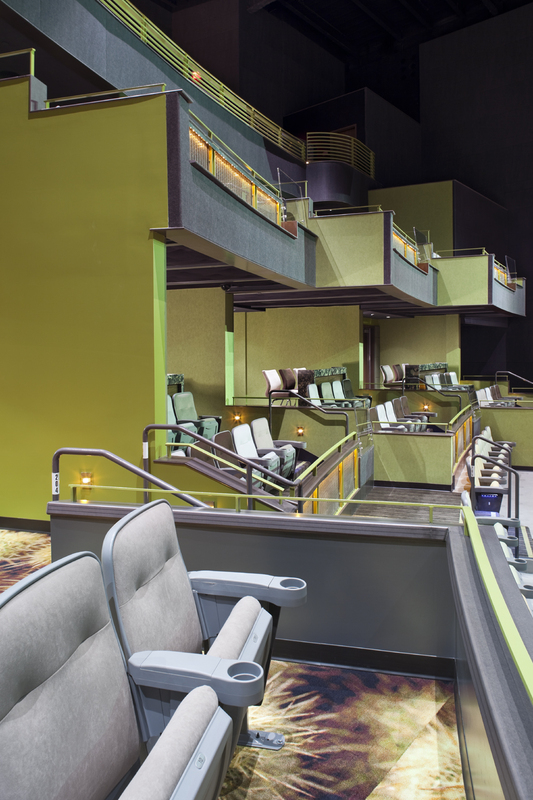 Inside the theater, the multi-colored chairs mimic the desert in bloom.